"Changsha Airport" redirects here. 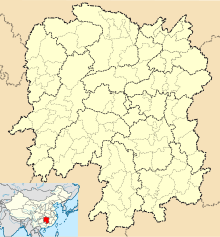 For the old Changsha airport, see Changsha Datuopu Airport. Hunan Airport Management Group Co., Ltd.
Terminal 1, with 32,000 m2 of space, has 3 concourses (T1-A, T1-B and T1-c). It was opened in 2000, and the proposed capacity was 4.6 million passengers annually. Terminal 1 was closed for renovation from July 2011 to 17 May 2018 after Terminal 2 became fully operational. Terminal 1 reopened on 18 May 2018. After renovation, Terminal 1 has 39,000 m2 of space, 38 check-in counters, 10 security lanes and 10 aerobridges. It has the capacity of 6 million passengers annually. Terminal 1 serves Air China, Chengdu Airlines, Joy Air, Okay Airways, Tibet Airlines, Shandong Airlines, Shenzhen Airlines and Kunming Airlines. The inauguration of Terminal 2 was on July 19, 2011. With 212,000 square meters of space, the new terminal is the 5th largest airport terminal in mainland China (after Beijing–Capital, Shanghai–Pudong, Guangzhou, and Shenzhen). The 39.9m tall main building of Terminal 2, being 672m in length and 168m in depth, is the largest single steel-truss structure in Hunan. The new terminal has 22 bridge gates, to which the longest passenger walking distance is within 300m. With this new facility, the airport can handle 151,000 aircraft movements and another 15.6 million passengers every year. The peak hour volume of passengers is 3,940. The Departure Hall has 4 automatic double-glass-door entrances which are directly facing Check-in Areas A,B,C & D respectively. Entrances 1-3 are domestic entrances and Entrance 4 is for International, Hong Kong, Macau and Taiwan Departures, which will be checked in at Area D. Area A is the exclusive check-in Area for China Southern Airlines. Area B&C are domestic check-in areas for other airlines. The terminal has 80 check-in counters and 24 self-checkin kiosks, 24 security checkpoints and more than 6,390 seats. The Arrival Hall is equipped with 8 baggage carousels (6 at domestic area and 2 at international area). The indoor parking garage P4, which has 693 parking spaces, is on floor B2. There are also three outdoor parking areas, P1,2&3, which provide over 1000 parking spaces. From 1957 to 1989, Datuopu Airport served as a dual-use military and civil airport for Changsha. It was only capable of handling small aircraft and a few flights per day. The Hunan Provincial Government proposed the construction of a new airport in October 1984, which was approved by the State Council of China. Construction for Huanghua Airport began in June 1986, and it was opened on 29 August 1989, when all civil flights were transferred to the new airport, and Datuopu reverted to sole military use. On October 28, 2000, the 34,000-square-meter Terminal 1-A, which cost 40.4 million CNY, was opened. The airport was capable of handling 4.6 million passengers per year. Afterwards, the construction of Terminal 1-B and Terminal 1-C were finished to ensure growing passengers and cargo. The airport then went through a major expansion in 2008–2011, with lengthening of runway 18/36 from 2600m to 3200m and the addition of Terminal 2 which went into operation in 2011. The airport welcomed its first intercontinental destination when China Southern Airlines began service to Frankfurt, Germany on 23 June 2014. The construction of the second runway was completed in November, 2016. The new 3800mx60m Code-4F runway was built parallel to the current 18/36 runway and lies 380m to the east. The second runway officially came into use on March 30, 2017. The new runway means that Huanghua Airport is now ranked as a 4F, the highest level for an airport, and capable of accommodating wide-body aircraft such as the A380. On May 16, 2018, the renovated Terminal 1 of the Changsha Huanghua International Airport resumes operation. The domestic flights operated by Air China, Shenzhen Airlines, Shandong Airlines, Chengdu Airlines, Kunming Airlines, Okay Airways, Joy Air, and Tibet Airlines arrive at T1. The airport is undergoing a major expansion eastwards. After the completion of the 2nd runway, Terminal 3 and the east terminal area will be constructed on the east side of airport, with 500,000 square meters of space. The airport will be capable of handling 60 million passengers annually, with a total investment of 28.5 billion yuan. The airport becomes a hub in Central China after this stage. A third runway of 3600m in length and a GTC with 270,000 square meters of space will also be constructed and ready for use in 2023. The third parallel runway of 3600m (4E) will be built to the east of Terminal 3&4, and it is 2000 meters away from the second runway. More concourses are to be added to increase the passenger capacity of Terminal 3. And Terminal 4 is to be constructed on the north side of the East terminal area. The east terminal area, in which both Terminals 3&4 lie, is located between the 2nd and 3rd Runways. At the final stage, the fourth parallel runway (3600m) of 4E will be constructed 1035m in the east of the third runway. Two underground tunnels connecting the west area (Terminal 1&2) and the east terminals (Terminal 3&4) are considered. Changsha Huanghua Int'l airport will become a major hub in China which hosts a number of based airlines. The ultimate capacity of the airport will be 90 million passengers annually. As for 2016, Changsha Huanghua International Airport was the 13th busiest airport in the People's Republic of China with 21,296,700 passengers. Maglev: The regular-speed Changsha Maglev connects Huanghua International Airport and Changsha South Railway Station, it started operation on 6 May 2016. The Maglev line is 18.5 km long and trains and runs at a speed of 120kph to finish the journey in just over 10 minutes. The ticket price is ￥20 between the Airport and South Railway Station. Metro-card holders can receive a 10% discount. Metro Line 6: planned and expected to start constructions in following years. ^ "长沙航空口岸". Archived from the original on 2018-01-04. Retrieved 2018-01-09. ^ Sha, Zhaohua (2018-08-10). "1989年：长沙黄花机场建成通航". Hunan Daily. Retrieved 2018-10-02. ^ "30年前，见证黄花机场开建". Huaxia. Retrieved 2018-10-02. ^ Liu, Jim. "China Southern adds Changsha – Singapore service in S19". Routesonline. Retrieved 12 March 2019. ^ "Hainan Airlines adds Changsha – London Heathrow from late-Mar 2018". routesonline. Retrieved 9 March 2018. ^ "Hainan Airlines plans Changsha – Melbourne launch in Nov 2016". routesonline. Retrieved 10 September 2016. ^ "This year there are 37 flights from China to Indonesia Tourism Dive Resort Manado". top-news.top. 22 July 2016. Retrieved 27 July 2016. ^ "Thai Lion Air plans Chiang Rai – Changsha launch in August 2017". routesonline. Retrieved 26 July 2017. ^ "Xiamen Airlines schedules new SE Asia service in W18". routesonline. Retrieved 11 September 2018. 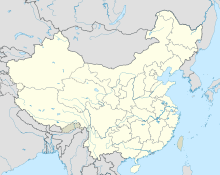 Wikimedia Commons has media related to Changsha Huanghua International Airport. Airport information for ZGHA at World Aero Data. Data current as of October 2006. This page was last edited on 25 April 2019, at 12:27 (UTC).